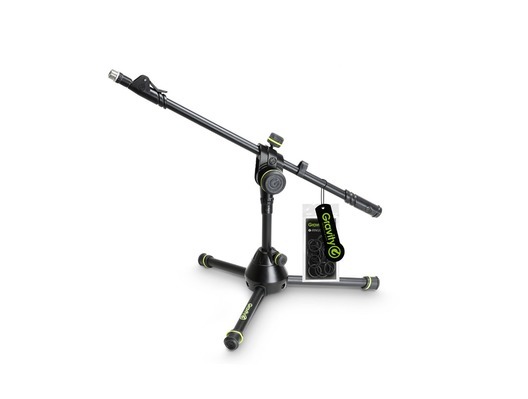 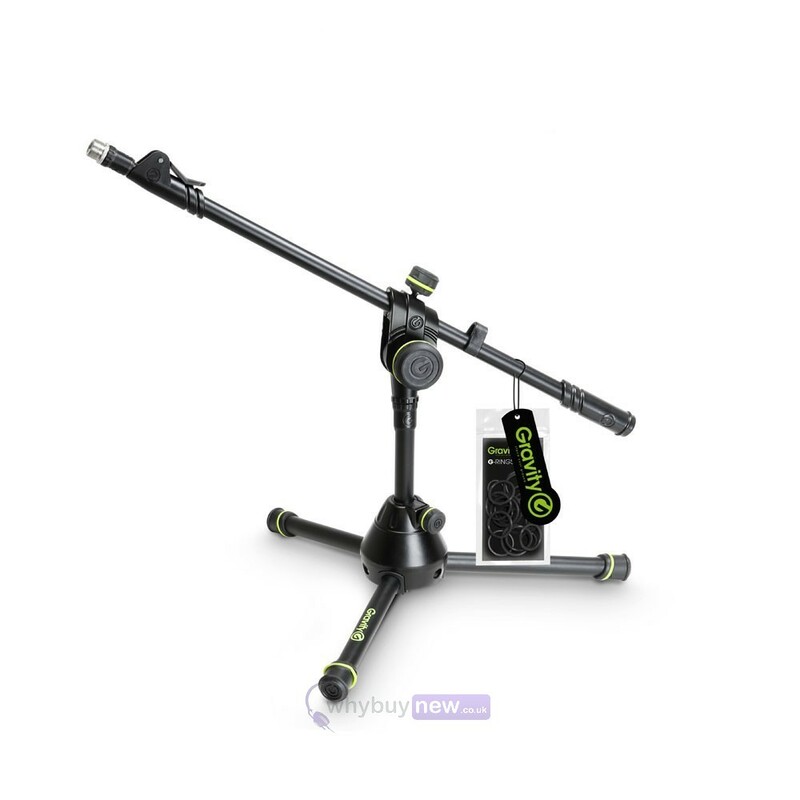 The Gravity MS 3122 HDB microphone stand is super strong, super short but with a long boom arm making it perfect for micing bass drums. 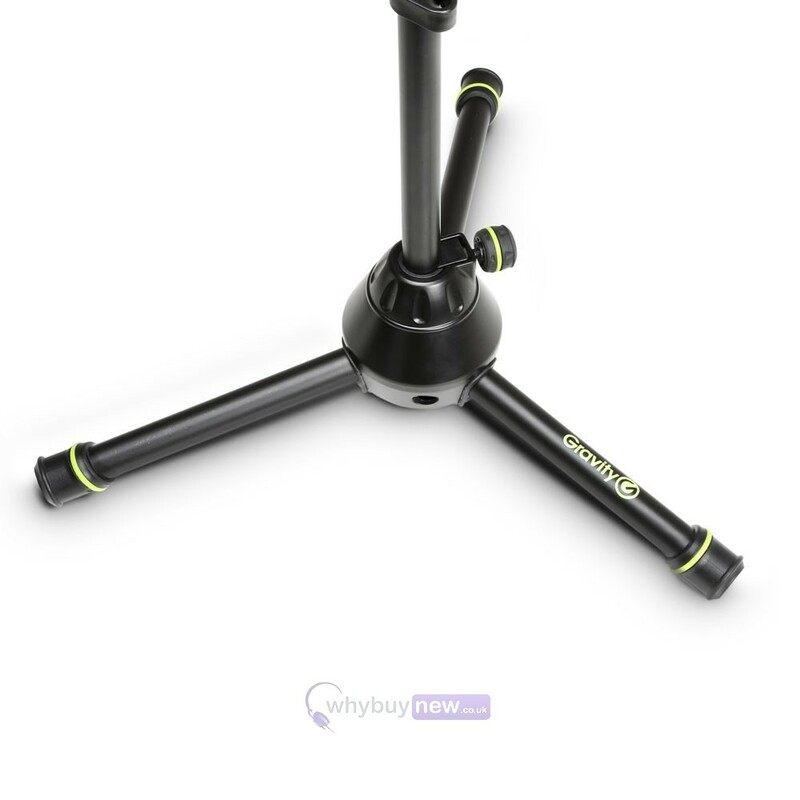 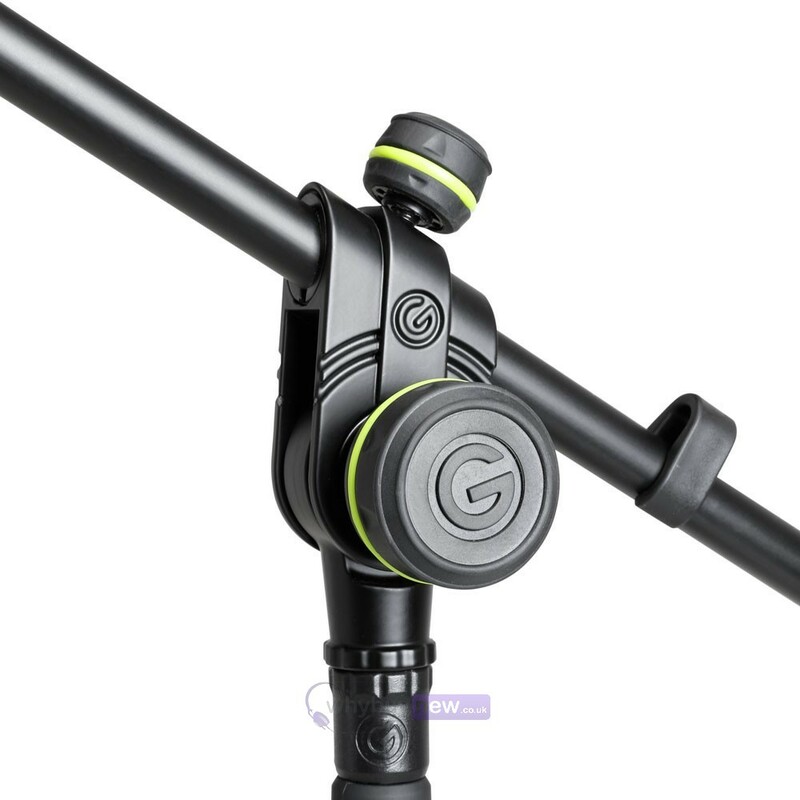 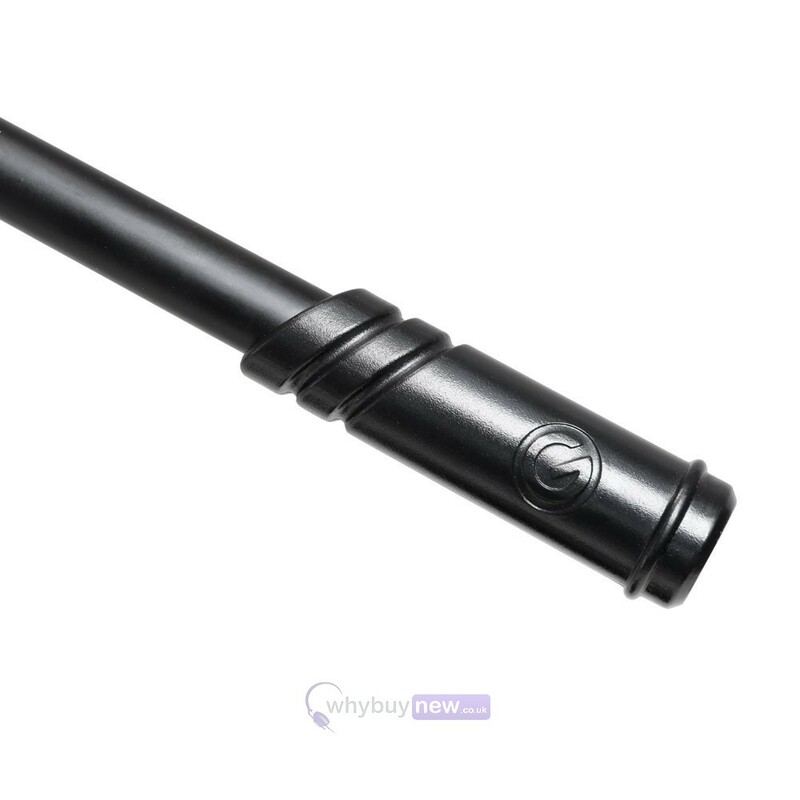 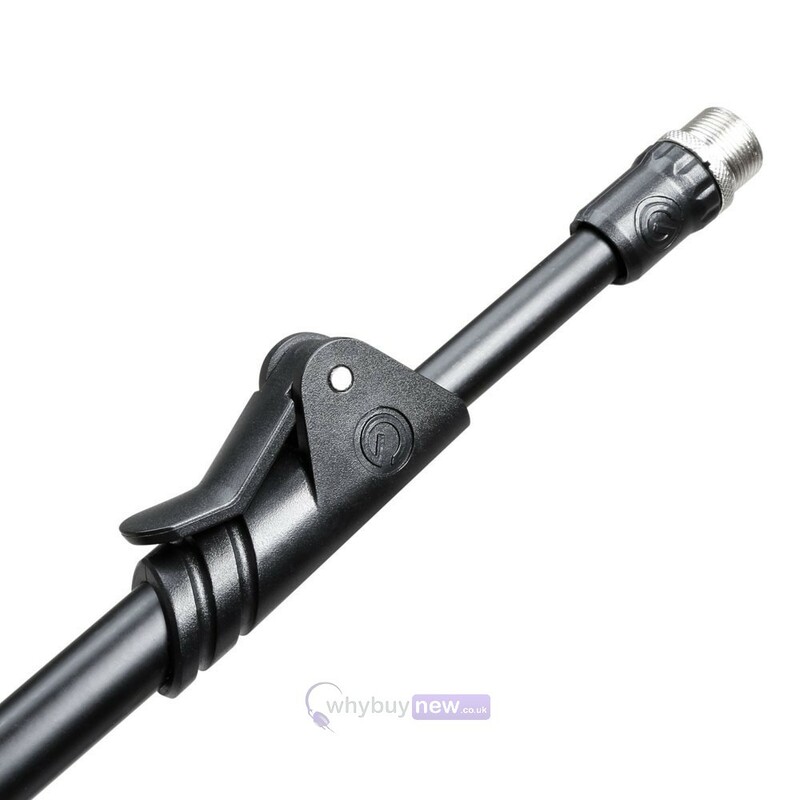 As with all of Gravity's microphone stands each component has been engineered to be comfortable to handle as well as practical to use, like the adjustment knob and locking nut which have been coated in thermoplastic for a superior grip that won't hurt your hand or become damaged. 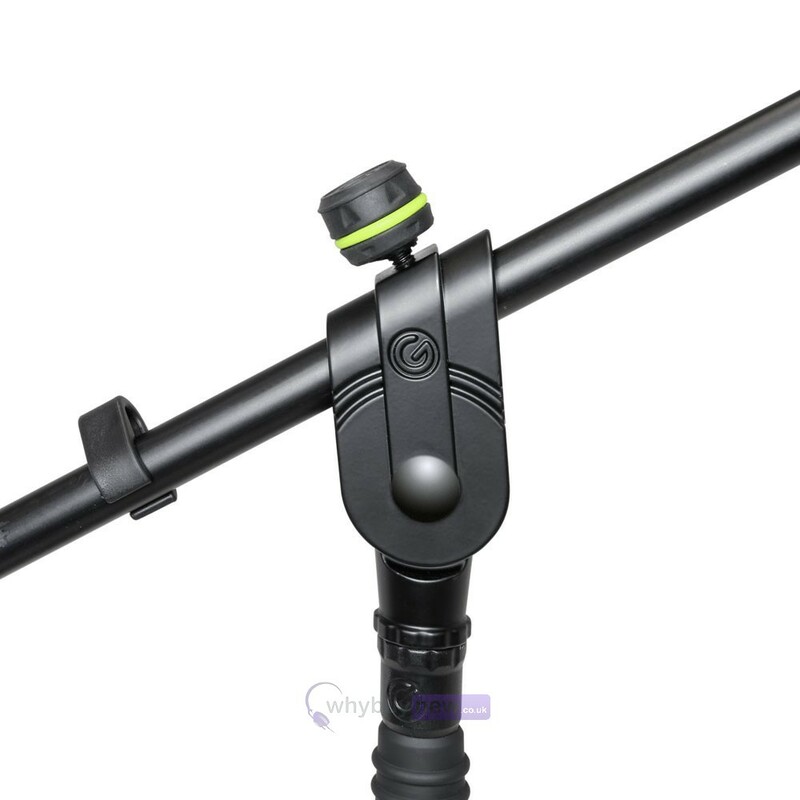 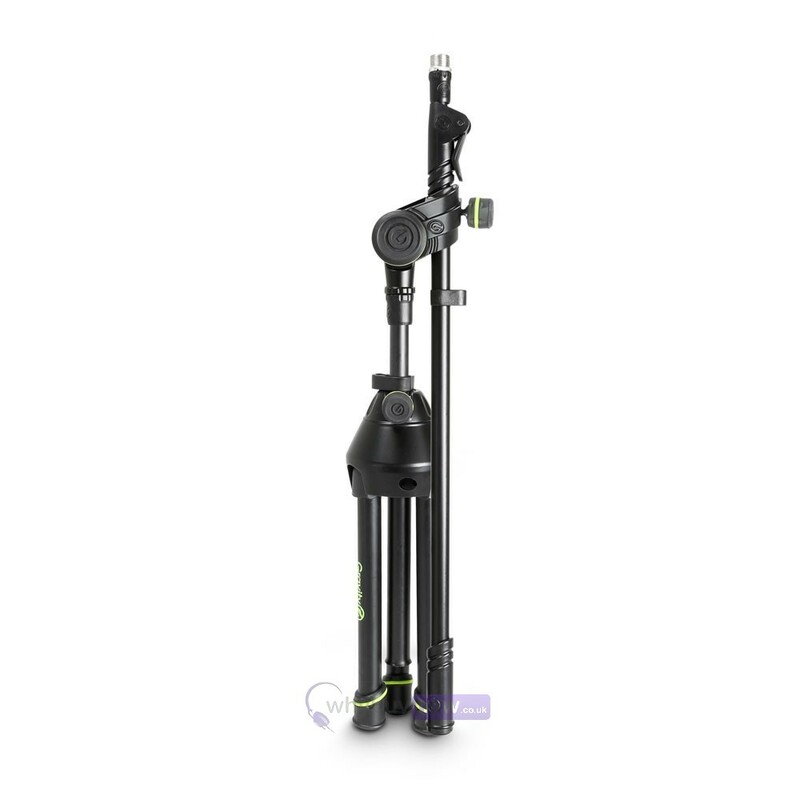 Gravity has also made the MS 3122 HDB stand out from other microphone stands in other ways that you can't see, like the solid iron feet that would normally be hollow on other stands, giving it that extra weight and sturdiness so that it can comfortably support the boom arm at full extension without risk of tipping over. 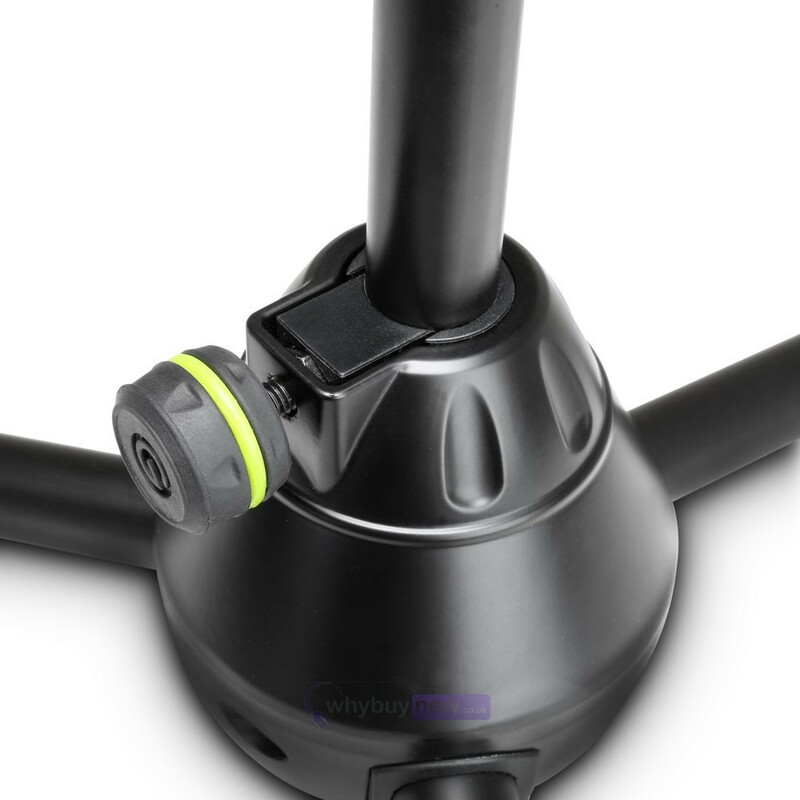 A set of black coding rings is included with the GMS 3122 HDB, additional ring packs are available in a wide array of colours for instant personalisation.